Custom Bag tags are coming your way! Compliments of so much to Hutchison Mechanical, Plumbing, Heating and Cooling all golfers will be receiving a custom Bag Tags at this years Golf Outing. 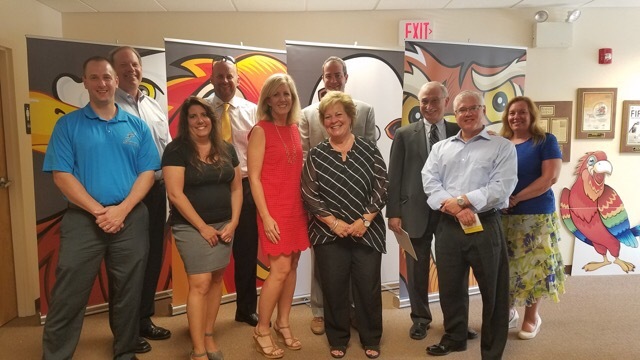 A big thanks to Joe and PJ McMahon of McMahon Automotive for hosting their Roundtable last week and a bigger thanks to all of you who came out and participated so wonderfully! July 20, 2016, Philadelphia, PA- BCA Philadelphia, LLC today announced the appointment of Celeste Bach as Experience Manager. Bird Bird Bird…Bird is the word! What a great group we had for Team Builder’s Round Table. Thank you Jeff and Amy for hosting and providing a fun environment and a wonderful lunch. It was wonderful seeing all of the different ‘birds’ in the room. Some of us (who shall remain nameless…) didn’t make ANY money in the arm wrestling exercise while some of you fared quite well! Great ice-breaker to start the discussion of the wonderful programs Team Builders offers. Holding yourself accountable for what you say you will do. It was unanimous that the culture of a positive environment where people feel encouraged, worthwhile and motivated to do their best, comes from the top position in the company. I’m sure our speaker on Friday will touch on many of those things we talked about. @NeffAssociates and Young Adjustment Company Inc. announced as Photo sponsors! Thanks to Neff Associates and Young Adjustment Company Inc. all BCA Golf Outing participants will take home their own photo keepsake! Your photo keepsake includes a fun photo of your foursome and a custom 3-dimensional photo frame specifically designed for the 2016 BCA Golf Outing. Every golfer will always remember the amazing time had at the 2016 BCA Golf Outing, thanks to Neff Associates and Young Adjustment Company Inc.
golf, Neff Associates, Young Adjustment Co.
You can golf with a celebrity Special Olympics athlete at the 2016 BCA Golf Outing! 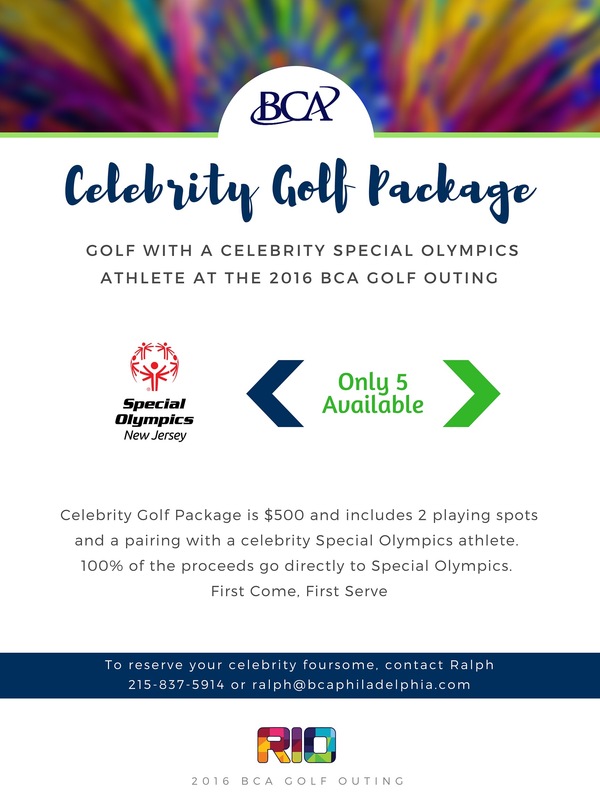 Because of our amazing partnership with the Special Olympics New Jersey, we are able to offer this unique opportunity. See details below. Contact Ralph if your interested or have questions. Thanks Proshred Security all golfers will snack on an endless supply of delicious soft pretzels throughout the 2016 BCA Golf Outing. The Haefele Flanagan Beer cart will be keeping golfers beer thirst quenched, so we are so thankful ProShred Security for the soft pretzels to snack on!